Do you have an EPIC card? You may not have the idea of what is EPIC card! Very few people have info about EPIC card. EPIC- Electors Photo Identity Card is issued by the Government of India to the persons above 18 years old. It is popularly known as Voter ID Card. The card contains an EPIC number or voter card number. You must note down the EPIC number and save it. If in case you lost your voter ID card, you can request to issue a duplicate voter ID Card. The registered electors in the electoral roll get a unique number that gets printed on the card. 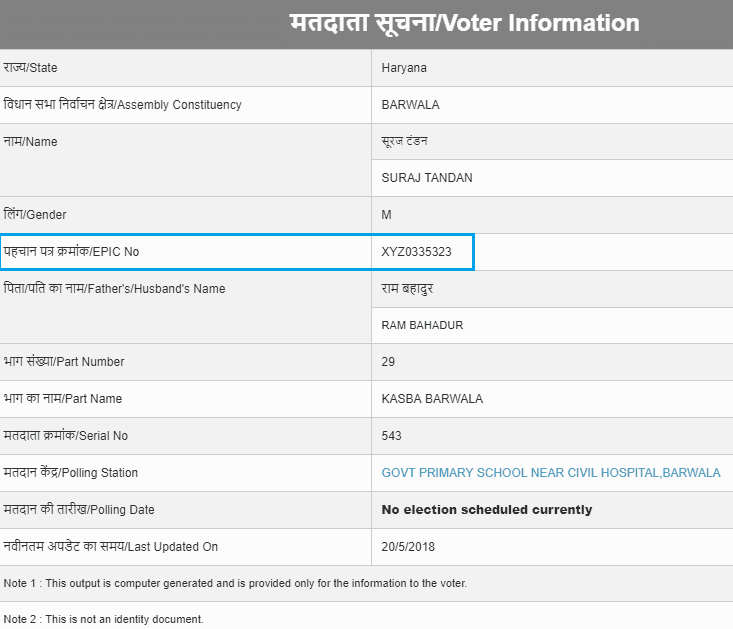 You can check the complete voter card details using the EPIC number. If you have lost your Voter Card, you can apply for a new one for which you need the EPIC number. Step 1: Visit the official online portal of National Voters Service at http://electoralsearch.in. Step 2: You need to enter your Name, Date of Birth/Age, Gender, Father's/Husband's Name, State, District, and Assembly Constituency. After entering the credential, you need to enter the captcha as shown in the image. Click on 'Search' button to proceed further. Step 3: Next you need to click view details button. Step 4: You will get directed to a new page that displays EPIC number, part number, serial number and many more details. 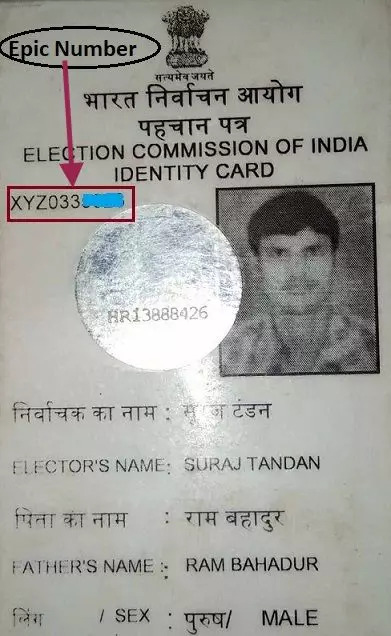 You can also view EPIC number in the just right side of your photo of your voter ID card. Check below image for example. In the Classic Voter ID Card, you will get the EPIC number printed above the photo or behind the card. If you have the color Voter ID Card, you will find the EPIC number printed below the photo and barcode. Apart from the online method, you can obtain the EPIC number from the Booth Level Officer as well as from the nearby Citizen Center. If you haven't lost the Voter ID Card, make sure to note down the EPIC number for future references. how to find a booth location in the voter id card. I have mpic number, pls help me out.